Last week I blogged about Our World, Our Stories which is a new global project my class is involved in. 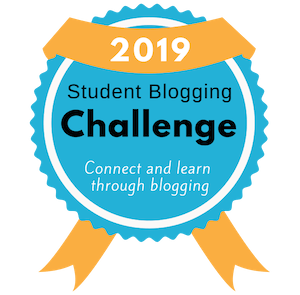 2008 was the year that I began blogging and also collaborating globally with my students. Since then, our experiences of collaboration have become more integrated, frequent, richer and self-initiated. It is an amazing experience to see your young students communicating, conversing and learning with children from all corners of the globe. What is a global project? I define a global project as any sort of collaborative project that involves two or more classes from different schools/countries. There is usually a defined purpose and structure to the project. The learning is usually documented and shared on an online space such as a blog. Some global projects have a culminating event. My first experiences with global projects involved my students joining pre-organised projects. When you’re first starting out, you don’t need to think of the project idea and find your own connections. There are agencies and groups that can do this for you. You might want to check out Skype in the Classroom, iEARN or the Student Blogging Challenge if you need a starting place. When you and your students are familiar with the concept of working with other classes, you might want to think about starting your own global project. I have found this is very beneficial because you can customise the learning experience to meet your students’ precise needs and interests. These steps are simply based on my own experiences. I invite you to add any additional ideas in a comment. 1. Goals: What do you want your students to get out of a project? As teachers, this is the question we’re always asking ourselves when planning new experiences. If you start with this question in mind, you will be more likely to help your students achieve their full potential. Clearly we all have systematic standards we need to be covering in our classrooms. Global projects don’t have to be an add-on. They can be an authentic and innovative way to teach and go beyond core standards. Twitter is my number one place to find a diverse range of educators to connect with. If you have a class blog, you might find this list of blogs around the world useful. 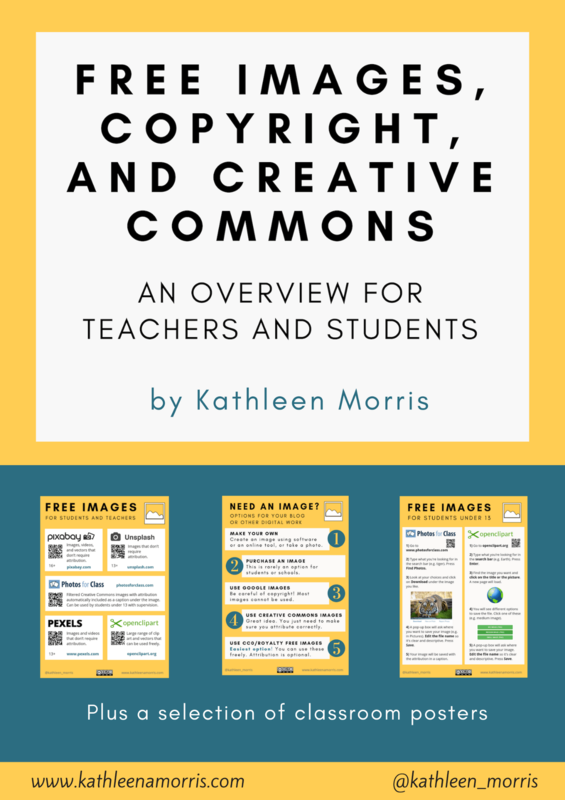 It was compiled by Sue Waters to help teachers find other classes to connect with. When deciding how many classes to connect with, my suggestion is to start small and see how you go. I have found that the benefits from global connections come from quality over quantity. Discuss with the other teachers what you want your students to learn and document this somewhere (I use Google Docs when collaborating with other teachers). The learning outcomes may differ for different classes but of course, would have a common thread. Sometimes the outcome might be based on making an impact in the world (such as our Ugandan Global Project) or simply based on student learning and development (such as Our World, Our Stories). Once again, I use Google Docs to create a table that outlines each week that the project will run with ideas for activities/themes/milestones. Of course, this is just a guide and a working document. I think of an online space, such as a blog, as a place where the classes can meet, collaborate, converse and learn together. Of course, the online space doesn’t have to be a blog; it could be a Google Doc, YouTube channel, VoiceThread or any sort of online tool. When using a blog for a global project, such as our Collaboration Corner blog, one teacher can start the blog and add the various teachers as administrators. When working on a global project with other classes, I use Google+ Hangout, Skype, Twitter, email or Google Docs to stay in touch with the teachers. I find projects are generally more successful when the teachers are working harmoniously behind the scenes to steer the learning in a forward direction. Publicise your project to parents, the school community and your PLN. A global project is a fabulous opportunity for students to work with a diverse range of individuals in their community near and far. The great thing about global projects is there is so much extra learning that is unexpected but powerful. I have found global projects work best when they have a clear framework but also a large degree of flexibility to pursue student interest and curiosity. A culminating event can be a satisfying way for students to showcase and celebrate their learning. This could be a movie, fundraising event, song, Skype party, digital story, community event or art display. The possibilities are only limited by the imaginations of the teachers and students. Naturally, you learn from every involvement in global projects. Be sure to discuss with your students what worked and what ideas they have for next time. A thorough debrief and reflection can lead to even more powerful outcomes next time! What other questions or advice do you have about global projects? Leave a comment! I follow your blog every day. I work as àn educational manager in Gothenburg Sweden. Now I’m going to start à developinggroup of teachers. They are going to study how using IPad best in and primary and secondary school…and nursery school as well. I am already hooked on Our World, Our Stories! It is a great idea and seems to be working nicely already, I imagine your students are very excited. Thanks for the great resources on this post! Thanks so much for your support. It has been a hectic week keeping up with all the conversations and learning on Our World, Our Stories. The kids are really into it! Absolutely stellar! It’s key having that starting point of joining other collaborations that are already organized. There are so many! Your tips for getting a global project started are so helpful, and overall it makes the task seem less intimidating, and rather tangible. I can’t wait for our district to be at this point. We are at the precursor to this. We are just starting to get our feet wet with blogging, so the next step is to join online collaborations. I realized that our district needs more familiarity with blogging (or some type of web2.0 platform), to help them build the foundation needed for global collaborations. That way, the class has experience with digital citizenship and an understanding of the responsibility with an enthusiasm for learning in this community. I can’t wait to see how your global project works out! How inspiring! Thanks so much for taking the time to share this with us! Thanks so much for your kind words as always. I think you’re right about becoming familiar with working online before working on a collaborative project. When I was VERY new to blogging I was involved in a couple of projects that involved email rather than working in an online space. This was okay but when you have a blog or another platform to use as a central meeting place, the benefits really increased. That way, families and the community can become involved too! Good luck getting your teachers into collaboration – I know you will inspire them! I absolutely love your Our World, Our Stories project so much that I am inspired to start my own global collaboration project. Thank you for sharing these tips for newbies like me. If you don’t mind, I will have more questions in the process. I love your enthusiasm and dedication on this project! I am currently studing to Bachelor of Primary Education and have been inspired by the work you are doing with your class(es). It shows me that computers are so much more useful then playing games and are a valuable social and learning tool that the children are excited to be involved in. I will keep following your blogs for more great tips and future teacing experiences. Thanks so much for letting me know. I appreciate your support! Thanks for the reply. Keep up the fantastic work: I’m sure the children really appreciate learning in this setting. Thanks again for the explicit instruction as to starting your own global project.